Half of the infected computers are "bricks". According to rough estimates, as many as 10 percent of private, government and corporate computers in Ukraine were compromised as a result of the hacker attack that occurred on June 27. The deputy head of the presidential administration of Ukraine and ex-director of Microsoft Ukraine Dmytro Shymkiv told Associated Press on 6 July that this is a "guesstimate" figure that does not include certain categories of computers in corporate sector such as cash machines. "Ten percent of PC install base (in gov and commerce segment) in Ukraine were compromised, half of which become bricks," he wrote in an email, adding that the assessment was both approximate and personal. Some critical infrastructure organizations were also impacted, but primarily businesses." As reported, the police said they have evidence that the Petya ransomware was developed for Ukraine. The attack was preceded by the collection of EDRPOU codes using the infected M.E.Doc software. 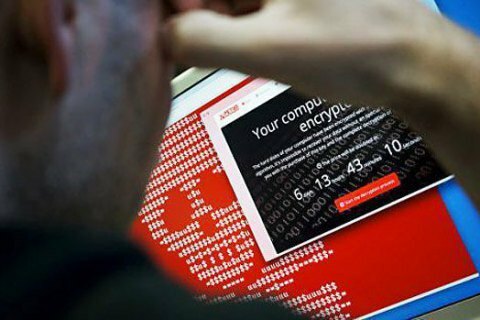 The SBU accused the Russian secret services of launching the Petya malware. On Thursday, Ukraine's State Communications Committee warned of a possible repeat cyberattack and issued new recommendations to reduce the risks and minimize the consequences associated with cyberattacking.